This work proposes a streaming paradigm for connected component discovery, with the end result of processing a 100 million image dataset and generating 3D reconstructions from it within six days on a single computer. 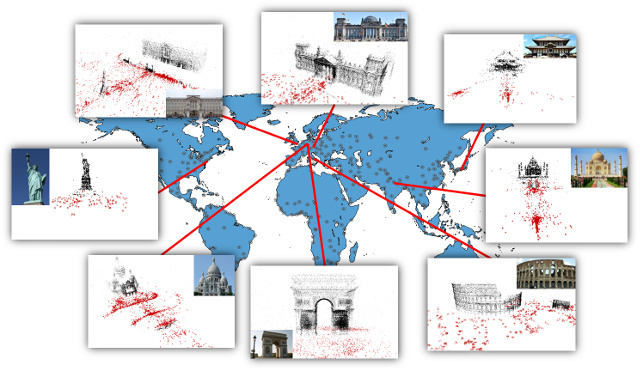 CVPR 2015 PDF Updated August 2016: Fixed a bug in counting the number of reconstructed images. Please refer to the included README and LICENSE file for a description of the model format and usage instructions (also linked below).